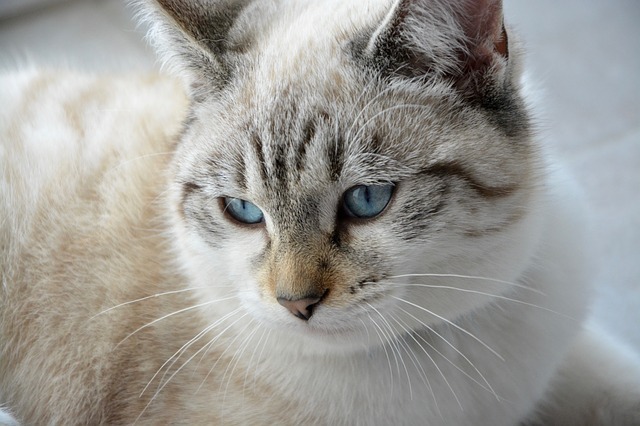 Joint problems are relatively common among cats, especially as they get older. Whether these problems develop into arthritis, or remains less serious, you may notice that your cat finds daily tasks more difficult. This is because as the cartilage breaks down, your cat’s joints will become stiff and painful. However, unlike dogs, cats are both prey and predator animals, which means they are much less likely to vocalise or show their pain. Watch out for lethargy, slowness and reluctance to jump as these could be because your cat is in pain. Even though you cannot prevent your cat from developing joint problems, there are a number of things you can do before and after your cat’s diagnosis to care for their joints. Ensuring that your cat maintains a healthy weight throughout their life can help to reduce their chances of developing joint problems. Excess weight can put excess strain on your cat’s joints, even in daily tasks, such as walking or jumping and, though being overweight doesn’t increase your cat’s chances of developing joint problems, it can make existing conditions worse. Feeding your cat a balanced diet, as well as encouraging them to exercise regularly can help to keep your cat at a healthy weight. You should only give your cat supplements with the approval of your vet. However, supplementing your cat’s diet with glucosamine, chondroitin and omega 3 fatty acids can help to promote the health and mobility of their joints. Though many cats may not like to be touched, massaging your cat’s joints will help to reduce the inflammation around their joints. You should be incredibly careful when massaging, so as not to cause any further pain, but your vet will be able to offer guidance on this. Stop as soon as your cat shows signs of irritation or discomfort. Warmth helps to alleviate the pain of your cat’s joint problems, as it can help to keep them from stiffening up. Also, ensuring they have somewhere comfortable to lay will not only provide them with comfort when they are in pain, it can also help support and take pressure off their joints when they are laying down. In general, cats like to sleep in a covered area, such as a large cardboard box, made comfortable with cushions, as this offers them a sense of safety. Though acupuncture might not have any impact on your cat’s joint specifically, it can help relieve any tension that could contribute to the pain your cat is experiencing as a result of their joint problems. You should seek advice from your vet before investing in acupuncture for your cat’s joint problems, as the therapy isn’t suitable for all conditions and cats. Ensuring that your cat can easily access their bed, food, water and toys without needing to jump or climb up and down stairs can make everyday life easier if they do have joint problems. This is because it eliminates any unnecessary extra pressure on their joints. You should seek veterinary advice as soon as you notice any changes in your cat’s mobility. Even though you cannot cure their joint problems, you can work to alleviate their pain and make them more comfortable sooner. Don’t forget that Animed Direct offers a range of joint supplements for cats and also prescribed medication at very competitive prices.